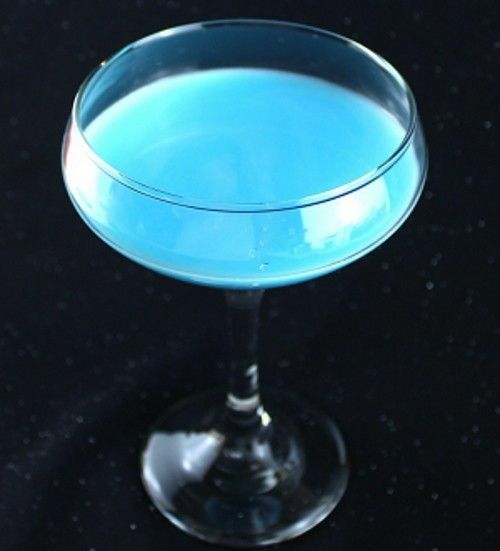 The Belgian Blue is actually a blue cocktail, so you can probably already guess that it features blue curacao. Where the “Belgian” part of the name comes from, I have no idea. This recipe gives you a choice on one ingredient: either coconut liqueur, which is clear, or coconut milk, which is white. So your choice here will affect the alcohol content and the color of the drink – white will make it opaque and light blue while clear will just leave it the color of blue curacao. But the flavor is really similar either way. Pour the first three ingredients into a glass. Add the 7-up to taste, and stir. Assuming the 7-up was refrigerated, you don’t need ice.